Ageless Beauty is a beauty salon for men and women that offers a range of services including eye lash & eye brow shaping and tinting, permanent make up, massage, non surgical body toning, manicures, pedicures, tattoo removal, waxing and spray tanning. Thursday & Friday 9.30am - 6pm. 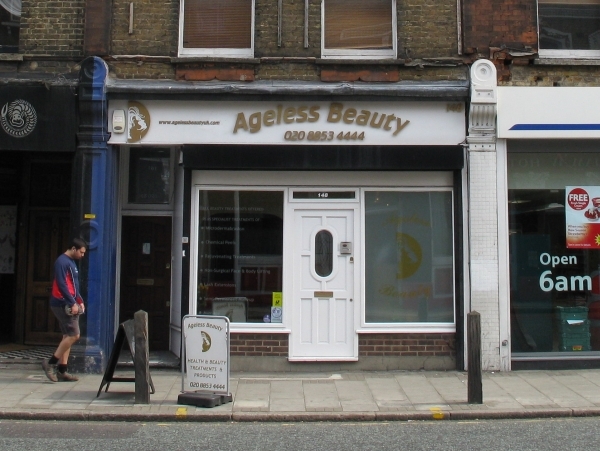 Ageless Beauty is located on Trafalgar Road. Find your way to Ageless Beauty by public transport with Transport For London's Journey Planner.